২০০৬ ডক্টরস ক্রেইগ আনউইন পর্ব: "ফেসিং আপ"
"হোয়েন দ্য গোইং গেটস দো, দ্য দো গেট গোইং"
"হোয়ার ইউ ওয়ান্ট টু বি"
"সিটিং অন টপ অফ দ্য ওয়ার্ল্ড"
↑ TeenHollywood.com - Ben Barnes: Chatting with "Caspian"
↑ ক খ Ben Barnes - Biography ওয়েব্যাক মেশিনে আর্কাইভকৃত ২৭ এপ্রিল ২০১১ তারিখে Ben Barnes Website Retrieved: 4 November 2011. ↑ Ben Barnes: Prince of hearts The Independent newspaper online. Created: 19 June 2009. Retrieved: 5 November 2011. 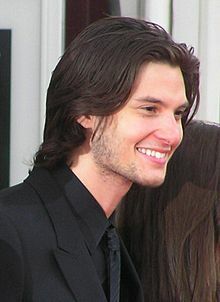 ↑ Ben Barnes: the new prince of Hollywood The Daily Telegraph Created: 25 June 2008. Retrieved: 4 November 2011. ↑ CosmoGIRL! magazine. June/July 2008.